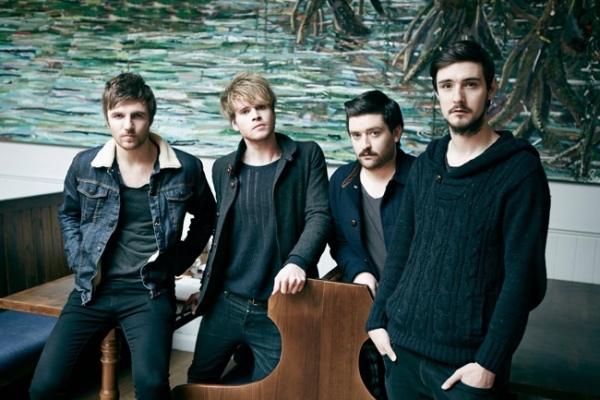 From writing songs in a bedroom in the Dublin suburbs to selling out venues all over Ireland and the UK, Irish four-piece Kodaline have been going from strength to strength since releasing their debut album In a Perfect World last year. Recently announced as the support act for Kings of Leon when they play Dublin's Marlay Park it seems this rise will continue. Bassist Jay Boland talks to Scene Point Blank about material for album number two, recording wherever the mood struck and (almost!) being stranded in New York. Scene Point Blank: So how're you? Jay Boland:I'm really good, I was just in Kilkenny at my old school today. Scene Point Blank: Cool, how was it? Scene Point Blank:Is it really strange going back there now that you're in such a successful band? Jay Boland: [Laughs.] Well, I dunno, I was always in bands. So there's school pictures of me playing bass and stuff like that. Scene Point Blank:Was it something you ever thought you'd do? Because I know you were in Jody Has a Hitlist and stuff like that. Jay Boland:I've always just played in bands, you know. It's kind of what I've always wanted to do. I never thought that that [visiting school] side of it would happen. Scene Point Blank:I read an interview a while ago where Mark said that the band planned to spend January "in the Irish countryside in the middle of nowhere." I was wondering if that actually happened because I know you've been doing lots stuff in the studio. Did you get a chance to go to the countryside? Jay Boland:That was our original plan but stuff happened at the end of the year, like Steve got sick and we had to reschedule some European stuff to the middle of January, so we stretched it a bit and now we're still in studio mode at the moment. So we're in studio mode until we go to America basically. Scene Point Blank: How does being in studio compare to being on tour? Jay Boland:It's a whole different thing. You're just focusing on creating new music every day and there's a thought process that goes into it, whereas live you're just not bothered about one thing. You kind of know what's coming but it's all a bit different. So they're two very different beasts, but we're very much a studio band. Scene Point Blank:You did a lot of the material for In A Perfect World in Leitrim, if I'm not mistaken? Jay Boland:Yeah, it was kind of a month of an album. We set up studios everywhere. We set up where the music is really, unless you're doing drums or pianos or stuff like that, you don't really need a beautiful sounding room all the time. Just a mic for the vocals and any kind of room, wherever the mood struck and everyone was available for it. The producer was able to fly over. Scene Point Blank: Would it always be first choice to be somewhere rural for the writing process and for recording? Jay Boland: I think definitely for the writing process. It's nice to be able to just focus on writing and not have to worry about the other parts of your life. You need to reflect a bit and that's kind of hard when you've got stuff going on, like you've got your friends calling you going for a pint. Scene Point Blank: A lot of the songs on In A Perfect World have a really positive sound. 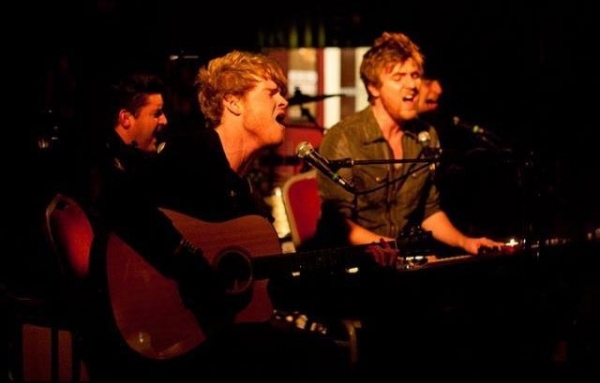 I was wondering if Kodaline would tend to be a really positive band in general or, when you're writing songs, does your outlook change and it ends up being positive when it wasn't originally? Jay Boland:I don't know about the sound of the songs, but the intention of the song is basically the core of the song; it's there at the start. It doesn't change, intention-wise, because we try to be as honest as possible and I do think we all have quite a positive outlook on life, you know, just keep your chin up and seeing what comes. Mark and Steve were writing away for two years in the house with no real plan, they were just writing for what they wanted to hear themselves. I don't think there's much change when you get into the songwriting process, just what's on your mind comes out. Scene Point Blank:So it's just organic then? Jay Boland:Yeah, you try not to think about it too much. Scene Point Blank:That's when you wreck it! Scene Point Blank: You've added extra dates and bigger venues to your upcoming US tour. Is that surreal, considering just over a year and half ago you were playing really small venues in Ireland? Jay Boland: To be honest the whole thing is pretty surreal. This Christmas-January, that's the first period that we've had off. We have been on solidly for about eighteen months. I look back and I realise how far we've come and it's incredibly far, and we have big aspirations. We're not going to say we don't want to be the biggest band: everyone wants to be the biggest band in the world. It's going really good. We've been unbelievably lucky. 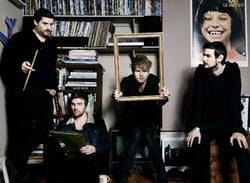 Scene Point Blank: When Kodaline first started out did you have any preconceived notions about what it would be in a band that sells out venues like the Olympia and the O2? Jay Boland: We would've been happy just to be playing venues. [Laughs.] We were never really sure where it was going. It happened the moment we put up the very first video and it hasn't really stopped since then, and we didn't really do anything different to how we've always done it. Being in bands, everyone does the same thing, and we don't really do anything that differently. The songs have just grown legs. Scene Point Blank: Especially "All I Want." Jay Boland: It's crazy, we're just extremely thankful. The internet has been so good to us, we haven't really had haters yet. Scene Point Blank: Give it time, there's always one! Jay Boland: Yeah, someone has to press dislike. Scene Point Blank: You've released a new version of "One Day." Do you prefer that version to the album version? Is there any great reason behind why you chose that version for the single? Jay Boland: When we were doing all the recordings for the first album we hadn't really played live. We knew what we wanted to sound like and we were discovering what we wanted to sound like—we still are—but now we've played so many gigs we have an idea. With "One Day," we love the song so much, we put a lot more energy into it live. We thought, if it's going to be released we have to do something. We just did what we do live, really. Scene Point Blank:I love the album version, but I think the new version sounds a lot more energetic. Jay Boland: We're trying to work off what we do live a bit more. Scene Point Blank: If you were working on In A Perfect World now is there anything you'd change about it? Do you ever listen to some of the songs and think "I wish I'd done something slightly differently there?" Jay Boland: I think every single musician who's ever produced a piece of recorded material will say yes. It's one of those things: you're never finished an album or you're never finished a song. You're just done because time ran out and it has to be released. I think pressure like that is important because otherwise we'd never put anything out, we'd still be sitting in Swords writing songs. I think you have to have a bit of pressure like that. We did have a lot of time to write songs for the album but, when it actually came down to it, we only spent maybe nine weeks recording so, I don't know, it's hard to say. Scene Point Blank: Do you think you'd be your own worst critic then? Do you find it difficult to listen back to your songs? Jay Boland: No. It's crazy, I was getting into the car today travelling up from Kilkenny and the new version of "One Day" came on, and I really enjoyed listening to it. I'm a geek so I enjoy listening to it on different speakers. [Laughs.] I generally don't have a problem with multiple listens, I spend days listening to songs. I think you'll always be your worst critic, but I think that's also part of growing. "The internet has been so good to us, we haven't really had haters yet." Scene Point Blank: You've been working on new material. Do you have any second album nerves or are you confident about the material you're working on at the minute? Jay Boland: Not that we're overly confident, but we're happy with the material that we're coming up with and we're looking forward to pushing ourselves. And there's no immediate time pressure yet. We still have another year on the road and on this album, so it'll be early, maybe mid-2015, before we're looking at releasing album two. So we're really trying to focus on the creative side rather than the pressure side. It's still a bit surreal. Scene Point Blank: I'd imagine it's like a dream come true. Jay Boland: It really is. I was in so many bands, like I've said, and I spent years in the studio. I literally lived in the studio out in Maynooth that I ran with my friend. It's really surreal to be able to actually make a go of this as a career. Scene Point Blank: What's your favourite thing about being on tour? Scene Point Blank: Do you get to see much on tour, or is it usually venue-to-venue? Jay Boland: It varies day-to-day depending…you could get really lucky. We were in Cologne and it was the last day of our European tour in January, and there's this place called Music Store where you can order the stuff online but it's actually a huge warehouse. We decided we were going to go to Music Store and see all the stuff and we did. We somehow had a window of like three hours where we could go--you get lucky sometimes. And you get unlucky sometimes as well. I lost my passport when we were in New York and I got stuck there on Friday and the passport office didn't open until Monday, so I couldn't even get an emergency passport. So I had to stay in New York for the next three or four days. I got really lucky there, I could just wander around and see everything. Scene Point Blank: Are there any releases in 2014 that you're looking forward to hearing? Jay Boland: I'm really looking forward to hearing an Irish band, Overhead, The Albatross. They're great mates of all of ours but their music is just incredible. We're really big fans and we try to go [to their gigs] whenever we can. There's a few things coming out this year. There's a really cool guy I discovered in Norway, completely by chance, called Cashmere Cat. It's just this one guy, it's kind of like Mmoths, I think he has album coming out this year and he's so unheard of, he's just in Norway still. He's really great. Words by Aideen on April 7, 2014, 5:41 p.m.
Posted by Aideen on April 7, 2014, 5:41 p.m.
Posted Jan. 8, 2015, 9:50 a.m.
Posted June 5, 2014, 5:59 p.m.